Hi, my name is Kristen and I am a south Florida wedding photographer. 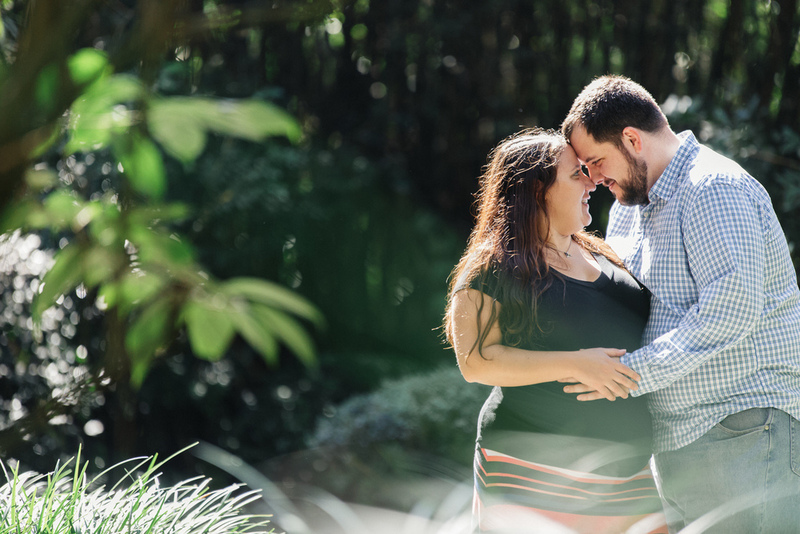 Last week I had the honor of photographing Toni and Vincent’s engagement session at the PSL Botanical Garden. I’d love for you to take a look, click the link to see the photos! Engagement session photographed by Kristen Browning at the House of Refuge in Stuart FL. Come check out Alyssa and Pierson’s photos! The other day, I got an email from a bride asking when she should book her engagement session. Many factors are at play here. But mostly, it’s all about when the wedding date is. I thought it might be helpful to share some of the advice that I give to my brides. I totally understand that the wedding planning process can have it’s challenges. I had 6 months to plan my wedding (with the help of a fabulous wedding planner!) and I remember that I still felt a little overwhelmed with everything that there was to do, probably because I am a perfectionist/typeA/worrier! My planner was absolutely fabulous and took care of everything for me, if I hadn't had her, I do not know what I would have done! So, let’s talk a little bit about engagement sessions. If you book your photographer in less than 3 months prior to your wedding, then chances are you will be booking your engagement session with your photographer as soon as possible, like within a month! At this point you won’t be able to use the engagement photos for save the date cards, but you may be able to get a few printed to have displayed at your wedding if your photographer can process the images and get them back to you quickly. It kind of puts a lot of stress on the photographer to do that, so planning to enjoy the photos in your home is probably what you should expect. Then you can absolutely plan on using your engagement photos for save the date cards! And, you can spend more time planning out your wardrobe, hair and make up. Having your wedding hair and make up trial done on the same day as your engagement session is a very popular thing to do. What better time to glam up a little for your photos? If hiring a wardrobe stylist is within your budget, you will have time to schedule a shopping trip to find the perfect outfit! Let’s say your wedding is on the beach in the summer. First of all if your wedding is on the beach in the summer, please make sure you plan to have an evening ceremony because the heat from the sun in Florida during the afternoon in the summer is torture! Anyways, back to our scenario. Your wedding is on the beach in the summer therefore all of your wedding photos will have an element of “summer” in them ie: palm trees, blue water, bright and sunny. Let’s say you’re wanting some variety for your engagement photos. You can plan on having your engagement photos done in the winter time. Your wardrobe can consist of boots, scarves and comfy sweaters. Your wedding photos and engagement photos would have a nice variety to them. When Trina had contacted me to photograph her wedding, one of the first things we connected on was the fact that both of us love popcorn! Yes, you heard that right, POPCORN! It was a match made in poofs of buttery, white fluffy goodness :) Sounds silly, but it’s true! I was delighted when I heard of what their plans were for their engagement session! They wanted to be photographed in the area that they frequently visit: downtown Palm Beach, specifically Clematis Street... and The Breakers Hotel! We then headed to The Breakers Hotel. I. just. love. this. place. I could shoot here every day of the week and never get tired of it’s tall cathedral ceilings, the ornate architecture, the lush landscapes and the little nooks that you can escape to read a book or sip a cup of coffee. It wasn't my first time shooting there. Last fall, I had shot this bridal session there too! Happy Wednesday, friends! This week has really been feeling like winter, here in Florida! Our temps were in the 50’s this morning, such a rarity! It is definitely an appropriate time to cook up a crockpot meal, put on your coziest socks and curl up with a book. It’s this kind of weather that is giving me the energy I need for that first of the year goal planning mindset! AND, what a treat to be able to shoot an engagement session outside and not have to worry about sweating. Ugh! As much as I love Florida weather, the humidity is something that I do not miss right now. Angela and Nick are some of the sweetest clients and I cannot wait to photograph their wedding this fall!! Enjoy the FIRST engagement session of 2016!! Hey guys! I am SO excited to be featuring a guest on the blog today, this is a first for me! In recent months, I've really wanted to blog about wardrobe ideas and help answer the question 'what to wear to an engagement session'. So, I decided to reach out to an expert in fashion and style, Marianne Humburg, fashion correspondent and style blogger. If you have been following my blog regularly, you would have recognized Marianne, as she has been featured in many of my posts in the past and has even helped me revamp my own wardrobe, something that I truly believe every woman should do every so often (it's so much fun!). 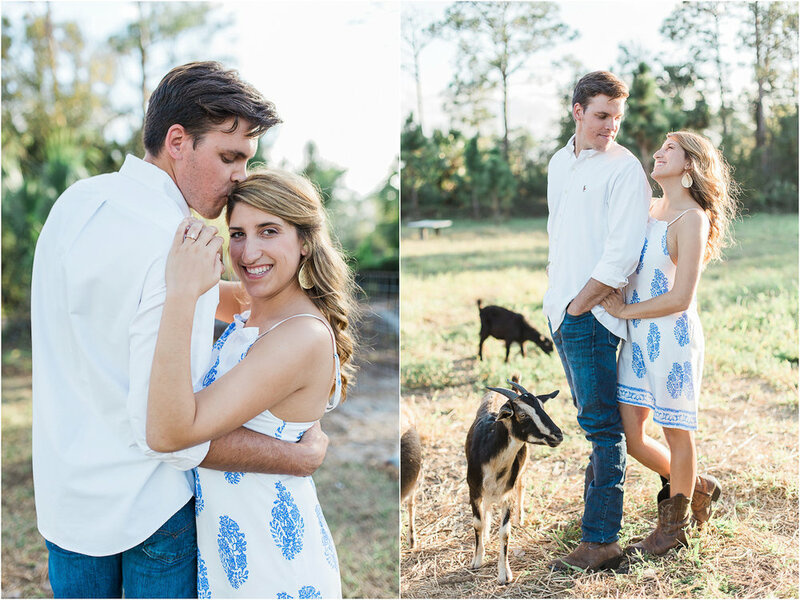 Anyways, today, Marianne shares with us about wardrobe styling for an engagement session! Hi everyone! I'm Marianne, a wardrobe consultant, style blogger, and lover of all things pretty. I'm guest blogging today here on Kristen's fabulous blog all about what to wear to your engagement shoot. I know this is something that people are dying to know so Kristen and I teamed up for a little mock e-sesh to shed some light on what exactly couples should wear. Let me start off by saying there's no one size fits all when it comes to dressing for a shoot. Keep your and your future spouse's style, likes, and hobbies in mind. For me and my boyfriend we're a little preppy, a little Florida when it comes to life and style. We dress casually most days, but do enjoy getting dressed up for date nights and such. We shot three looks to give you a broader range of things to wear. For her: I know we've all seen those heavily vintage-inspired shoots around on Pinterest, and although we appreciate the creativity that goes into them we don't want to go that far. We've got the perfect solution. Pick a dress with vintage details in a modern and flattering cut. We picked this one up locally from Two Sisters Boutique, but I bet you can find one you love at any Anthro. For him: Mix it up! Is your guy not much into getting dressed up? There's no reason to dress him up to match you exactly. His look just needs to complement yours. Ease him into this whole thing with a classic fit linen shirt and shorts. He'll feel comfortable and confident. For her: Living in Florida there is color around all year long. Take advantage of it by wearing a colorful frock from your favorite shop! I snagged this one from our local J. McLaughlin and can't wait to wear it again. Add in some more color with a fun clutch and call it day. For him: Dress him up! Does your beau own a suit? Break up the monotony and pair the jacket with another neutral. Add a pop of color in the shirt and a fun pocket square to complete the look. For her: Go big or go home. Did you find a dress that you are utterly obsessed with and is a complete showstopper? Wear it for your shoot! We scooped this one up on sale at J. McLaughlin, but there's more showstopping dresses out there to be had. For him: Since you're looking all glam have him wear his suit. Make the look more casual by ditching the tie and unbuttoning the top button. If he's not averse to pink, add it to the mix! Another pocket square completes the look. That's it! I hope this post inspired you for any kind of upcoming photoshoot. Remember to have fun and show your unique personality through what you wear! Need help finding an outfit? Get in touch! I'm always up for a style challenge! Special thanks to Shelley at J. McLaughlin and Sarah at Two Sisters Boutique for lending us the clothes for the shoot! MANY thanks to Marianne for her hard work and fabulousness! Be sure to reach out to her for a style consultation! It was a warm and humid summer afternoon, as was typical for a June in the summertime. The breeze was blowing off of the river and the city workers that had come to a day's end were hustling their way back to their car to go home. Silver headed early birds were shuffling their feet outside of the nearby restaurants, clutching to their canes and pocketbooks as they made their way about. Downtown Stuart is not only a hub for the business person and hungry folks, but it also yields it's old historic buildings and alley ways. When you find it's gifts, it's the perfect spot for classy, romantic outdoor engagement photos. And that is exactly were I suggested we meet. Her name was Danisela. Her fiancé's name was Mario. First off, can I say, what a beautiful name-Danisela! Especially when you say it and let the -sela- rolllll off your tongue, yes I may have done that aloud :). Both had met in high school--YES high school SWEETHEARTS!!! The term high school sweetheart brings such a nostalgic feeling when I think about it. How blessed to be able to literally begin your life with the one you love! They are a beautiful couple, she's got the prettiest brown eyes, y'all! Best of all, he can make her laugh so much, it's contagious! Thank you to Danisela and Mario for spending their afternoon with me, what a privilege to photograph your engagement!! Though they went to highschool together, they rarely had the opportunity to be around one another and therefore never really spoke to one another. It wasn't until a couple of years after highschool graduation that a trip to Key West with mutual friends, would inevitably be a life changing trip for Kate and Justin. Things just seemed to click for them. . .Maybe it was the warm salty Key West air, the fruity drinks, or excessive fun in the sun. Whatever it was, there was just enough ingredients to sizzle up a relationship. The true test of their relationship came when Kate's job required her to travel. Though Justin had already known for a while that she was "the one", he decided that he would wait for the perfect opportunity to pop the question. One day, he presented Kate with his grandmother's diamond which had been perfectly set in a rose gold band *It's gorgeous, really*. Of course, she said YES! The fact that these two have each other forever makes me so darn happy! I'm so excited to have the honor of photographing their wedding in just a few short months! I love when clients personalize their engagement photos with stuff like this! So fitting! Enjoying some champagne at sunset, what more could you ask for?!?! The sun came out and it was splendid!! One of my ALL TIME favorite shots right here!!! ^^^ This was one of the last series of shots we took, she is stunning! Thanks again to Justin and Kate for an amazing engagement session! Can't wait to see your wedding unfold this fall!! Finally the day for Jeff and Lauren's engagement session had arrived! I had them choose 2 locations that suited who they are as a couple. I always tell couples, a. )I'm up for just about anything b.) choose a location that is a place where the two of you would normally venture to on the weekend c.) Keep it fun! We started the session at Lighthouse Cove Mini Golf in Jupiter. This place is super cute, it's got a lot of nautical character and its within walking distance to the beach. Watching these two lovebirds interact made photographing them a delight! I love when I am able to catch natural interactions between my couples! Recently I had one of my brides ask about engagement sessions. How to prepare, what to wear, etc. I decided to compile a list of things for her and to help guide future brides. Enjoy! 1.) Location: I encourage my clients to choose a location that is unique to them. Not only is the session to photograph affection between the bride and groom, but it is also to showcase their personalities together within a scene that tells a story about them. You can read about Megan and Nick's engagement story here and find out why this particular location was important to them. 2.) Time of year: I'm the type of girl who appreciates variety. I mean, come on, what girl would want to wear the same clothes every day?! Speaking of which, I need to go shopping, lol. I find it interesting to shoot engagement sessions in a different season than the wedding date. For example, a bride with a July wedding might want to shoot her engagement session in January rockin' a pair of killer boots; maybe even some mittens, all while wrapped in a blanket with her man! Oh, and don't forget that bottle of wine! 3.) Wardrobe: I'm going to say something very Carrie Bradshaw right now: Wear something that you feel fabulous in! Yes, fabulous! I used to restrict certain colors, but now I tell my clients to just stay away from neon colors or any clothes with huge distracting patterns, as it can sometimes be difficult to "compete" with the couple vs. the clothing. 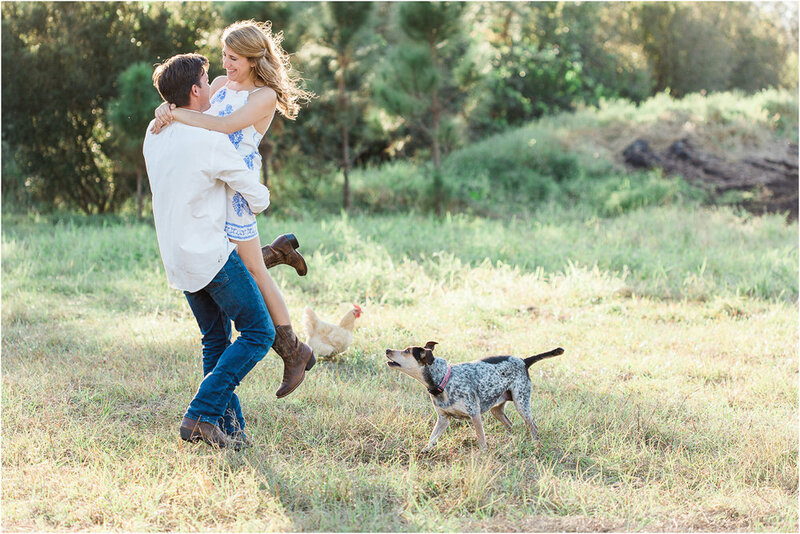 Remember, the engagement session is about you and your fiance--and remember to accessorize! A great pair of earrings and a necklace will not only tie your outfit together but will also frame your face. Clients will typically bring two changes of clothes i.e., something formal and something casual. Will you be having your hair and makeup professionally done? Brides: schedule your hair-and-makeup trial the day of your engagement session!! 4.) Time of day: I love, love, love the light during 'golden hour', which is typically about 60-90 minutes before the sun sets. The golden light that filters through the surroundings and pours into my camera is magical! You may find at times that the day will sometimes be overcast--and that's ok too; but I advise my clients that shooting time should start about 90 mins prior to sundown. Was this post helpful? I'd be happy to answer any questions, please leave them in the comments below and I look forward to sharing more insights in the weeks to come!